For anyone who has ever thought of tongue kissing Oprah but stopped for fear of learning “The Secret”…Listen to the Halfcast…That’s right The Halfcast is launching it’s first aural ejaculate deep into your ear womb. Bedtime stories with the Anti-christ. GPod Radio is everything radio usually isn’t. 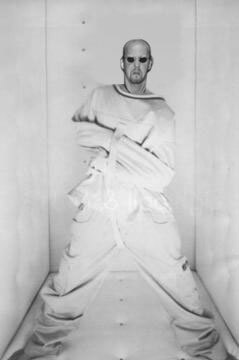 The only difference between GPod Radio and the rantings of a crazy man is; GPod Radio is not crazy at all! GPod Radio is the Pee Wee Herman lost in a mad house full of Madonna Ciccone’s. GPod Radio is not a list. GPod Radio is paranoid but not afraid to admit it. A BBC Radio 4 dramatization of Anthony Burgess?s novel. 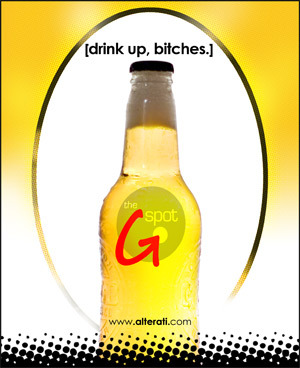 The G Spot is the home-brewed, 100 proof podcast of the Alterati.com editorial team. In it you will find a delectable blend of original musics, audiobook and drama excerpts, interviews with artists and media theorists of the fringe, and hints of strawberry and motor oil. Occulterati is a wwwadio program highlighting the web sites and individuals who are helping to create the upcoming Esozone event. Plus Ultra, “the Podcast for the Odd Cast”, with your host, Tracy R. Twyman. For anyone who has ever thought of tongue kissing Oprah but stopped for fear of learning "The Secret"…. Success is a two edged sword. We here at Greylodge Broadcasting are overwhelmed at the level of response we have received to our launch! We’ve been feeding the world 10 megabytes of information a second during the last few days. That’s incredible, but also expensive. If you enjoy the types of resources that we have been making available to you and want to help us continue to do so into the future, please consider donating a few dollars by using our PayPal button. Even a dollar or two every month from each and every one of you would help out a lot with our bandwidth over run costs. Thanks for coming by and we hope you enjoy our selections. download the 5 latest bittorrent releases of the daily show! Note! the torrents are hosted on external trackers. MSNBC says: "Check out their whole podcasting section, there's some really good stuff there." Wall Street Journal says: " It’s the latest reflection of an online culture where fans can function as curators of digital entertainment, bypassing libraries and museums with their own collections of music or movies." Boing-Boing says: "Greylodge regularly posts links to cool arty stuff on YouTube and elsewhere.wow. Subscribe to their video linkdump RSS feed." Ubuweb : "... is pleased to announce our new alliance with the incredible avant-garde resource GreyLodge..."
MetaFilter: " Dang, GLOR gets better every issue." Consulting your pineal gland. Big time.